Disney’s Grand Californian Hotel & Spa is the most expensive of the three Disney hotels at Disneyland Resort. It is on many nights of the year the most expensive Disney hotel in the country and maybe even the world. And it is the only American Disney hotel with a direct entrance into a theme park. 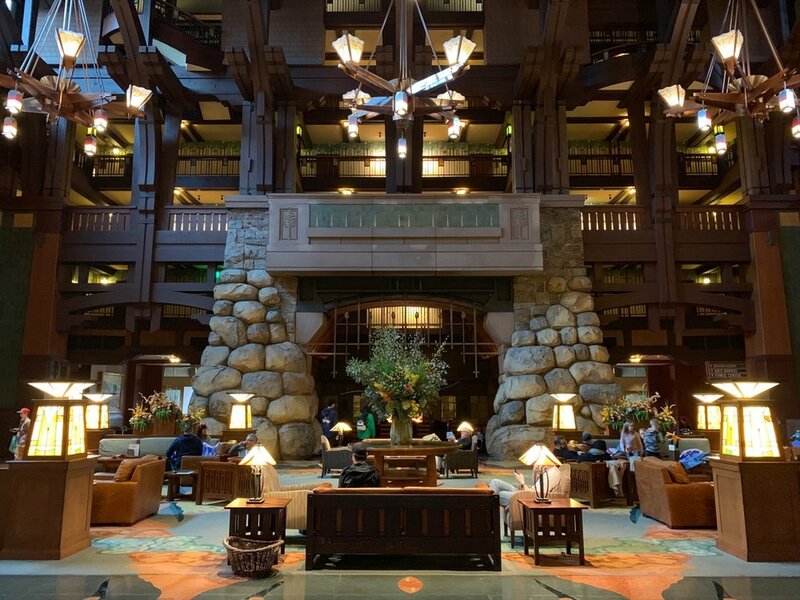 So, what did we think of the Grand Californian on our recent stay? Read on to find out! Disney’s Grand Californian Hotel & Spa is one of three Disney-operated hotels at Disneyland Resort in Anaheim, California. The other two are Disneyland Hotel and Disney’s Paradise Pier Hotel. We booked our Premium View - Club Level room through our choice Authorized Disney Vacation Planner, Lauren Quirk of Enchanted Escapes Travel. We paid $845.03 per night on an “Magical Stay” offer rate, a 25% discount from the rack rate. 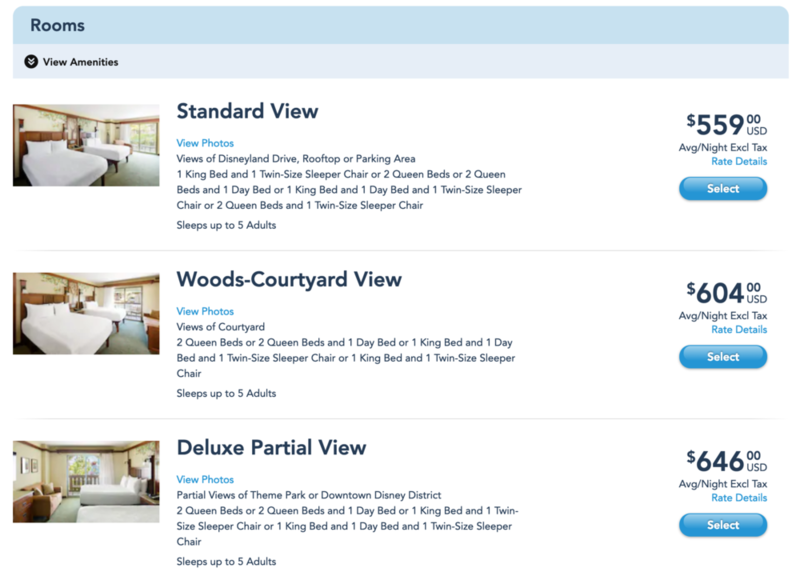 For 2019, Grand Californian rooms start at $654. Discounts from third-party sites (Expedia, Booking, etc.) are rare. We were coming from a stay at Disneyland Hotel. I actually came from Disney California Adventure and used the park entrance to get to the hotel. Emily walked through Downtown Disney. Like the hotels at Walt Disney World, guests doing a split stay between Disney hotels at Disneyland can have bell services transfer their luggage for them. You just have to be prepared to be separated from your bags until at least 3PM. We did have one stay where our bags weren’t delivered and we had to wait about 30 minutes for them to be retrieved. From LAX International Airport, we recommend Uber (or your preferred rideshare). 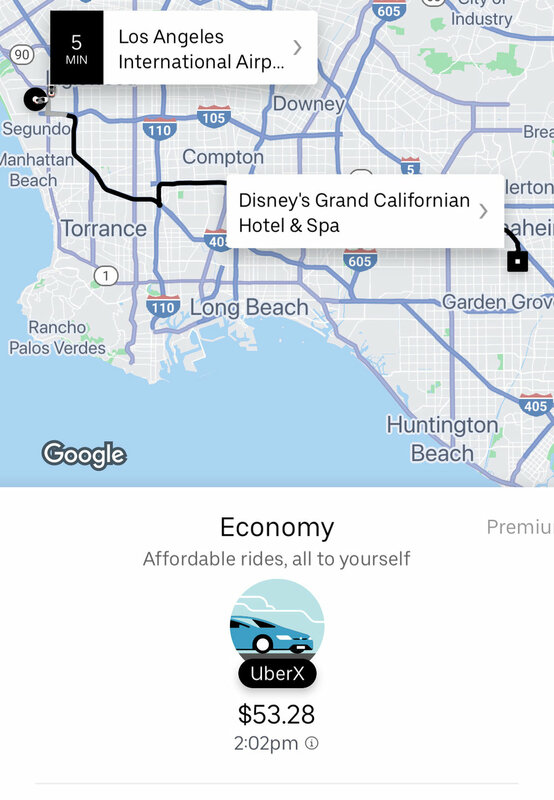 There are a few shuttle options for getting from LAX to Disneyland, but if your party is larger than one it will often be cheaper to Uber or Lyft. We had some trickiness with our booking that the Cast Member went above and beyond sorting out. She identified us as Club Level guests and gave us a welcome packet from the club. I prefer this to the lengthy process that comes from Cast Members transferring you to the club staff who then check you in and introduce you to the lounge. Some people will definitely prefer the feeling of being pampered and shown everything, in which case you might just swing by the club’s concierge desk and ask for an explanation of the offerings. The west side of the hotel faces Disneyland Drive and has the main entrance. The south and east sides face Disney California Adventure. The main hall of the hotel, which most people will recognize as being similar to the lobby of Wilderness Lodge or Animal Kingdom Lodge, is appropriately named the Great Hall. Around the Great Hall you’ll find reception, the Hearthstone Lounge bar, the Acorn Gifts & Goods store, ample seating, and a fireplace. The Great Hall is good, but to us it fails to meet the bar set by either Wilderness Lodge or Animal Kingdom Lodge, both of which offer more complex lobby experiences. Grand Californian is a “craftsman” style design. There is a lot of beauty in there, don’t get me wrong, but it also just comes off as very flat to me. The wood is flat, the couches are flat, the entire Great Hall is flat. One awesome and not flat piece is the giant hearth-like structure around the fireplace seating. The bottom line is that the Grand Californian’s public spaces really are beautiful and well-detailed, my limitations appreciating architecture notwithstanding. Unlike most Disney lobbies, the Hearthstone Lounge bar actively pushes itself into the lobby at Grand Californian. You’ll find menus, and accompanying crowds, at tables throughout the lobby. One downside of the hotel is its size. It can be a real pain to get around. There is a ton of directional signage, though, which means you at least won’t get lost along the way. The middle of the grounds contains the pools, of which there are three—the Fountain Pool, the Mariposa Pool, and the Redwood Pool. The Redwood Pool has small waterslide and a really small water slide. There are also cabanas for rent. I actually sat poolside for a bit as the chairs just looked too comfortable to resist. It was a very enjoyable, peaceful experience (peaceful because it was 55 degrees, I guess). While I find the rooms at Grand Californian a little boring, they are very high quality. Coming from our small room at Disneyland Hotel, we really appreciated how spacious these rooms are. There is cove lighting around the ceiling, which is an awesome feature. They’re also incredibly functional, with a plethora of outlets, lights, surface space, drawer space, and under-the-bed space. The design is okay, it’s just a bit understated for my liking. The bathrooms are among Disney’s best. The vanity has two sinks, but not much counter space. The bathroom utilizes a sliding door (love! ), and the shower has a glass door (doesn’t slide, but still good). The walk-in shower is impressively spacious, with a round rain shower head above and a smaller, handheld sprayer as well. The “Premium View” room category at Grand Californian makes absolutely no sense. The category includes views of either the pool or theme park. In what universe are those equivalent views? We had a pool view. You might say “well then just book a suite—surely those have theme park views.” But even the two-bedroom suites offer views of “Woods, Theme Park, Downtown Disney District or Pool.” You can always request a theme park view, but there’s no guarantee of getting it. Obviously Disney must be aware that this is strange, which just leaves me very curious as to their choice to combine theme park and pool views into a single category. (This TripAdvisor review from 2010 sheds a lot of light on the issue, though.) Either way, I wouldn’t recommend the view lottery here—just book a standard view. Grand Californian has the best location of the three Disney hotels, and really of any hotel if you’re visiting Disneyland. Exiting the hotel directly into Downtown Disney, you’ll have a five-minute walk over to Disneyland (and the main entrance to Disney California Adventure). And of course, the Grand Californian famously has its own dedicated entrance to Disney California Adventure. The Disney California Adventure entrance spits you out into Grizzly Peak. This a great entrance/exit for most of the day, but we avoid it for rope drop and Extra Magic Hour. Because of the potential for lines at security, it’s easier just to wake up a few minutes earlier and walk through Downtown Disney. 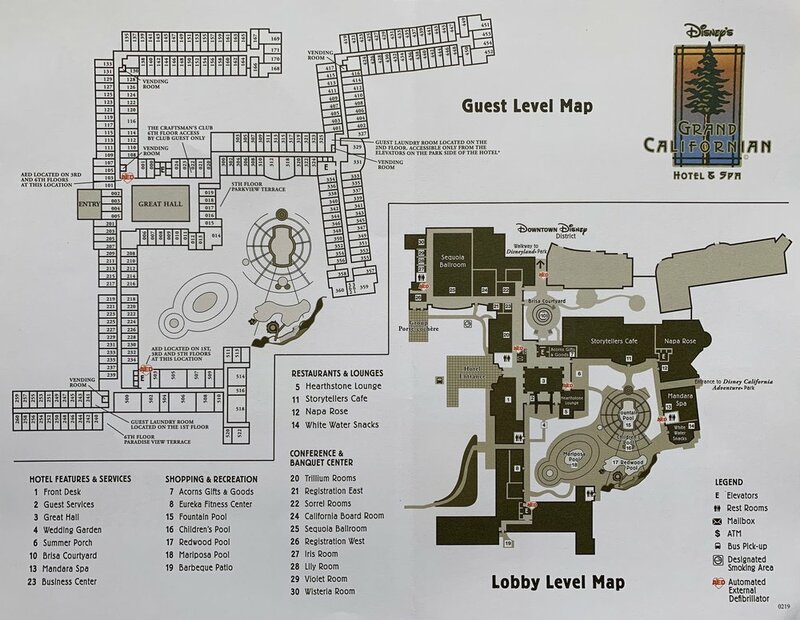 Keep in mind that because everything is so close, you can access the restaurants of the other two Disney hotels, Downtown Disney, and the parks quite easily. Disneyland is also surrounded by a variety of non-Disney restaurants. This post focuses solely on the dining options at Grand Californian Hotel. Grand Californian has one signature dining restaurant, one character dining buffet / family style restaurant, and one quick service restaurant. There are also two bars (discussed below) that serve limited food menus. While we provide an overview of the dining options here and our very limited thoughts where we have them, you should check out another trusted source like Disney Tourist Bog if you’re looking for real reviews of these restaurants. Napa Rose is the signature restaurant at Grand Californian. As the name indicates, the restaurant focuses on California cuisine and wine. Storytellers Cafe is the more casual restaurant at Grand Californian. It offers a character breakfast buffet, a character brunch buffet, and a dinner buffet without characters. White Water Snacks is the quick service restaurant at Grand Californian. I actually find the menu here much better than over at Disneyland Hotel, and it’s one of my go-to quick service options at Disneyland Resort. There are two bars at Grand Californian Hotel. Hearthstone Lounge is the main bar, located just off the lobby. It is often quite busy as it caters to both hotel guests and park guests looking for a quick break. 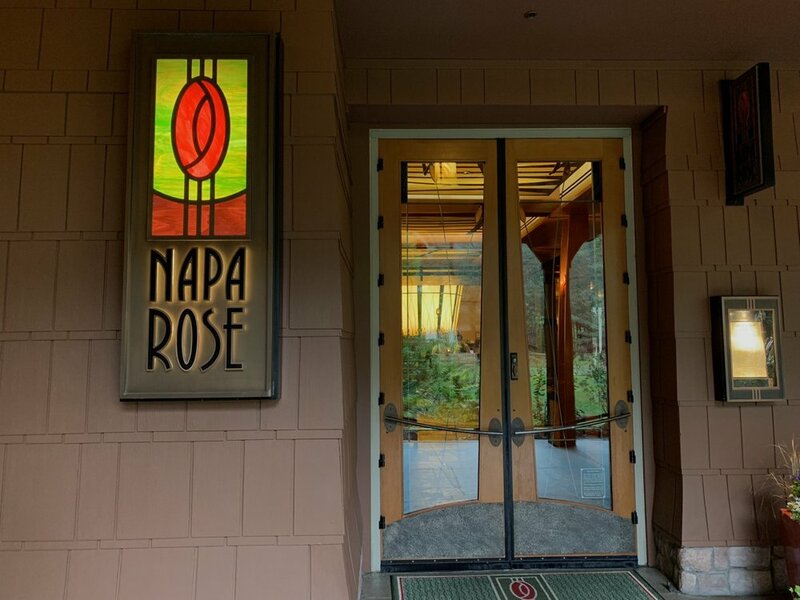 The Napa Rose Lounge is located at the Napa Rose restaurant and is a good option for people looking to experience Grand Californian’s finest spot without a reservation. If you’re looking for Spa reviews, look further! Not in this review, that is, but further down in the Google results that took you here. The Mandara Spa is located at Disney’s Grand Californian Hotel & Spa, but we’ve never made use of its services. The store at Grand Californian is Acorn Gifts & Goods. We found the selection of Grand Californian gear much more impressive than what was offered over at Disneyland Hotel, which makes sense as this is both a DVC property and higher priced than Disneyland Hotel. Here’s the thing—Grand Californian is a really good hotel. As a whole package—rooms, lobby, location, restaurants, bars—it’s arguably Disney’s second best hotel (Aulani, A Disney Resort & Spa in Hawaii would inarguably be first). Moreover, it’s pretty obviously the best hotel in the immediate Disneyland area. 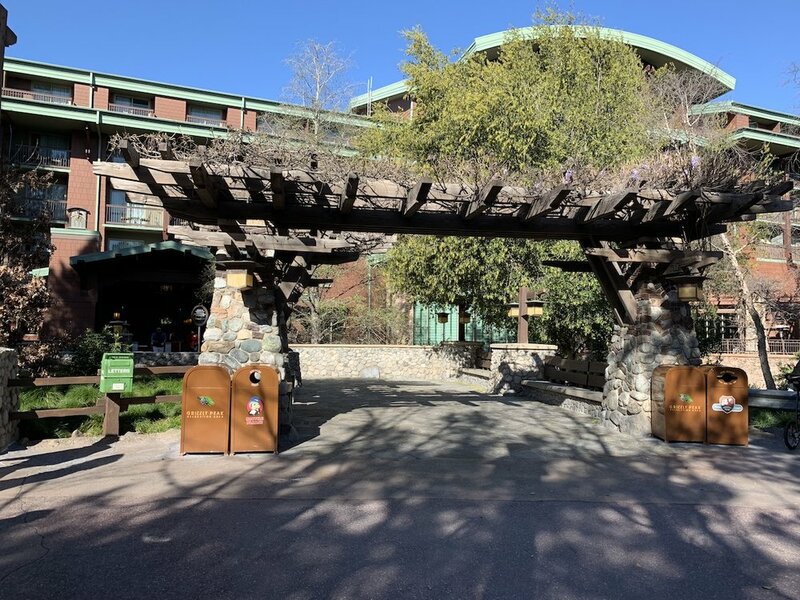 While Walt Disney World has nearby hotels like the Four Seasons and Waldorf Astoria to compete with its higher-end offerings, Disneyland has a large number of low-cost to mid-level hotels in the area, with Grand Californian really a step above everything else. But all of that comes at a very high price. So I would look at Grand Californian through the following lens—if you can easily stomach the price and are asking “is it worth it?,” then yes. If you are hesitant about the price, avoid it for your first Disneyland trip. You’ll have a much better understanding of a Disneyland trip and the Grand Californian itself (assuming you swing by during your visit) after a first stay.